There can be no denying that we love our four legged friends, from fluffy kittens to cute little bunnies. With 8 out of 10 Australians owning a pet of some kind, it makes sense that promotional pet accessories would be a great way to get your brand or logo into the homes of your target audience. You don’t even have to work with animals to benefit from custom printed pet products! 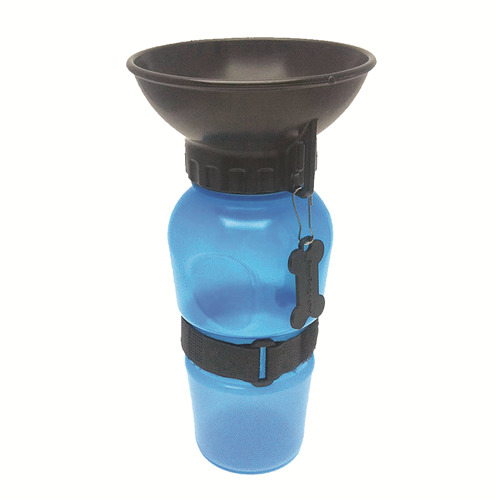 We have a wide variety of promotional pet products to choose from, including: travel water bottles, waste bag dispensers and bowls. 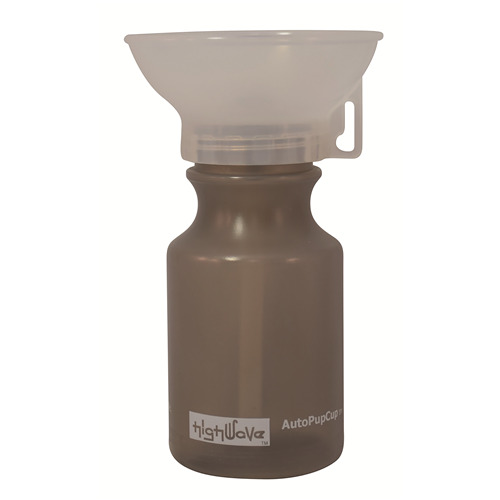 Our range of bowls is available in plastic, stainless steel and even collapsible varieties. 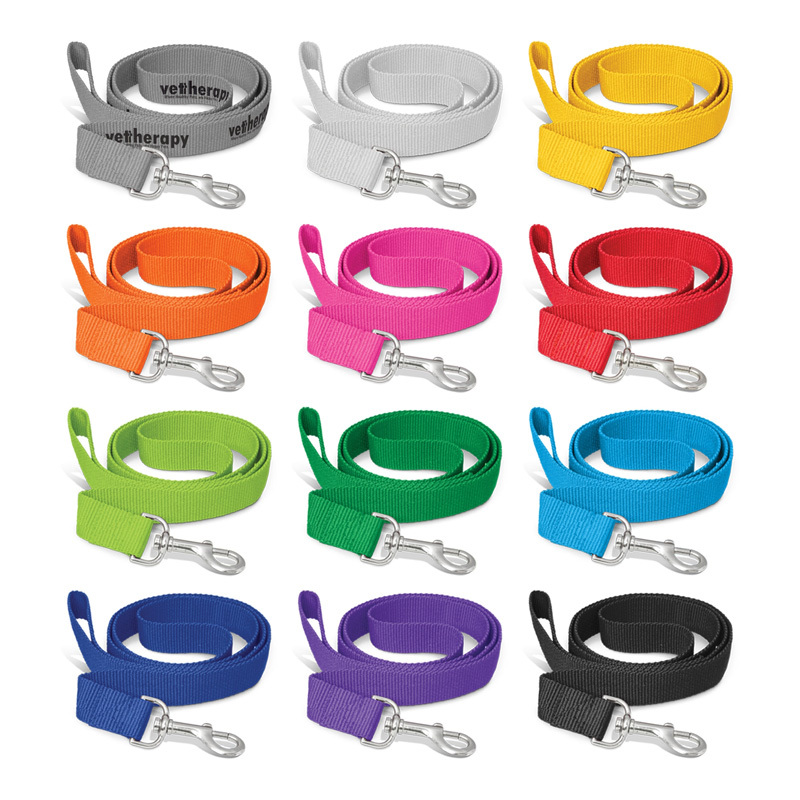 Custom branded pet accessories allow you to add your logo and business name to a wide range of products. Every time the recipients feeds their pet or takes them for a walk, they will remember you and your care for their four legged friend. Many of our promotional pet supplies actually encourage people to be responsible owners. Cleaning up after your pet, for example, and ensuring that they have plenty of water – even whilst on the go. Do bags come with the waste bag dispensers? Yes, but the number depends on which one you order. 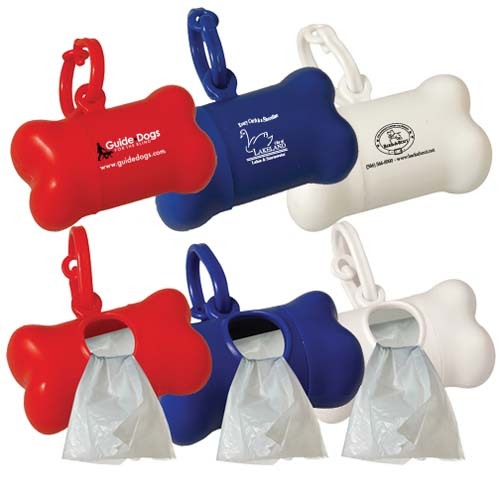 Most of our pet promotional items come with 10 disposable bags, but some do come with 25. 1.1 metre long dog leash for large and small dogs. Includes a Standard Clip. Dog Bag Dispenser and Flashlight Single white LED flashlight with twist action on/off power switch. Plastic. 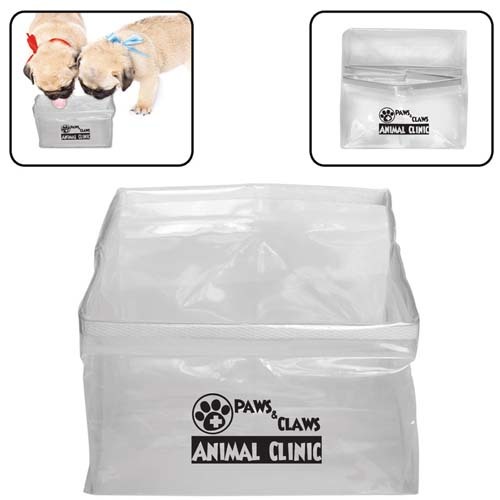 Pet waste bag dispenser with 10 white biodegradable waste bags. Plastic. 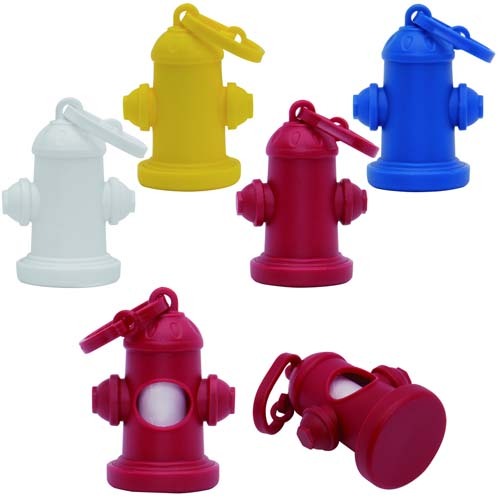 Fire Hydrant pet waste bag dispenser with 10 white biodegradable waste bags.